As money wasters, industry associations fall into a category of their own. In many cases, they deliver value far under the fees they charge. 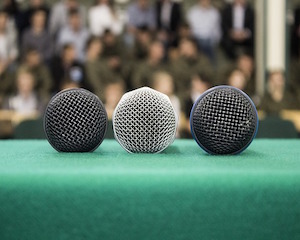 Here’s a way to make them pay: take a leadership role, and use it to build your media profile. Journalists often seek comment from relevant industry associations, especially if they discover good “talent”, by which I mean someone who is succinct, available, and has firm, informative views. Industry associations give journalists an industry-wide perspective without plugging a particular company, and the imprimatur of representing a membership. Take an active role in building the media presence for the association you represent. Develop some policy positions, anticipate potential moments when coverage is likely – the Federal budget, for example – and make sure your name is available to relevant media outlets. The industry association and its members benefit from having a high-profile president and will thank you for helping to advance their agenda. You benefit from getting your name into the contact books of journalists. It doesn’t actually matter if the industry association’s policy positions differ from your own. Once you have the relationships with journalists, you can stay in touch and offer independent commentary of your own in the future. By then, you will have built your media credibility and earned their trust. Most honorary presidents serve a 12-month term. The priceless coverage and credibility you receive in this year will make all the fees you have paid and all the fees you pay in future worth every penny. While some of us are inclined to waffle when we write, others are inclined to jam.